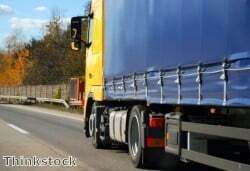 The Freight Transport Association (FTA) does not believe that a proposed banning of heavy goods vehicles (HGVs) in cities would be a prudent move for road safety. With the issue of protecting vulnerable road users one that the government is keen to make headway in tackling this year, the prime minister told the All Party Parliamentary Group on Cycling this week that a potential ban on HGVs during peak hours from entering the nation's major cities could be a possibility. However, FTA head of urban logistic Christopher Snelling has argued that to limit access to cities for larger vehicles would mean a significant increase in the number of smaller delivery vehicles being seen on the roads. For example, Mr Snelling noted that to replace just a single HGV, up to ten vans may be needed to transport the same volume of goods. "All road users have a role to play in improving road safety. Better awareness, training and behaviour is needed on all sides to make our roads as safe as they can be. Things can improve," he stated. "The number of HGVs involved in fatalities in the UK has halved in the last 12 years, which shows the success of the progressive approach to improving safety." easing night-time restrictions on deliveries. a focus on progressive improvement of vehicle safety standards. increased targeted enforcement against HGVs and drivers that do not comply with safety regulations. improved roads infrastructure and planning.